This Premium Series case is designed for two pistols. 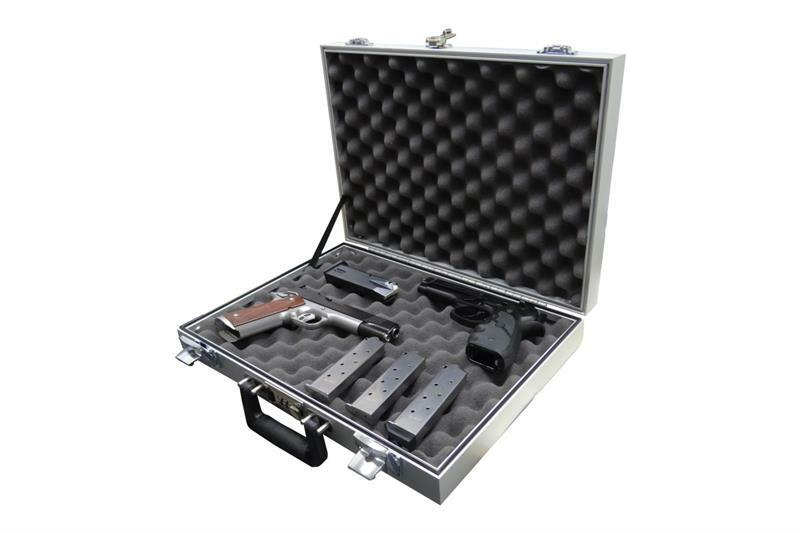 The interior is filled with egg crate foam and comes with two high quality key-lockable latches and one combination lock. Interior Dimensions: 16-3/4" x 11-3/4" x 3"
Exterior Dimensions: 17-1/2" x 12-1/2" x 3-1/2"